This season, we journeyed to Oslo, Norway. Nicknamed Tigerstaden (Tiger City) by the Norwegian poet Bjørnstjerne Bjørnson in the late 19th century, you’ll find sculpted tigers in the streets, but not live ones. The seafaring and adventurous spirit of the city is perfectly represented by this powerful animal, however. This bustling European city boasts over a millennia of history. Home of Vikings, kings, and fishermen, this coastal city’s skyline has morphed with the years. Modern architecture blends seamlessly with palaces, buildings, and fortresses from bygone eras. Fires nearly destroyed the city at least four times, and as a result in the 1600s, the shops and workplaces of Oslo’s residents were moved to the nearby, newly established city of Christiana (later called Kristiana). Today, the cities have merged into one. The modern Norwegian capital city, Oslo, has benefited from oil wealth. The city’s fame and international visibility increased with the Nobel Peace Prize. At its core, however, Oslo is more than the government hub or an international peace landmark; it is a city of adventure. The Viking spirit of exploration lives on in its residents, and the city’s museums and landmarks are monuments to this brave, seafaring culture. Oslo is a great city, and it’s easy to feel overwhelmed. We found Norway to be intoxicatingly beautiful, and the ambiance of the city to be the perfect mix of old and new. A stroll through Kvadraturen offers the perfect opportunity to explore the city’s past, and borders the Akershus Fortress and Castle – a must see on any list. Akerselva River’s once-wild banks are now tamed by the city, but still offer 8 kilometers of exciting outdoor adventures. The river once played a significant role in the city’s history, and divides Oslo in half. While walking along it, stop by the Hen-Lovisa’s House. Built in 1911 and named after a character in a Norwegian folktale, the house offers a mix of arts and crafts from modern and past eras, and a relaxing place to rest. Regardless of where you choose to pass your time in Oslo, the past and present blend effortlessly. The resulting city will captivate your imagination. It’s a perfect stop for anyone who is interested in Norse mythology and offers a unique view of Europe’s past for history buffs. Some of the best stops along the way are highlighted in this article. This 700-year-old fortress played a role in recent history, too. 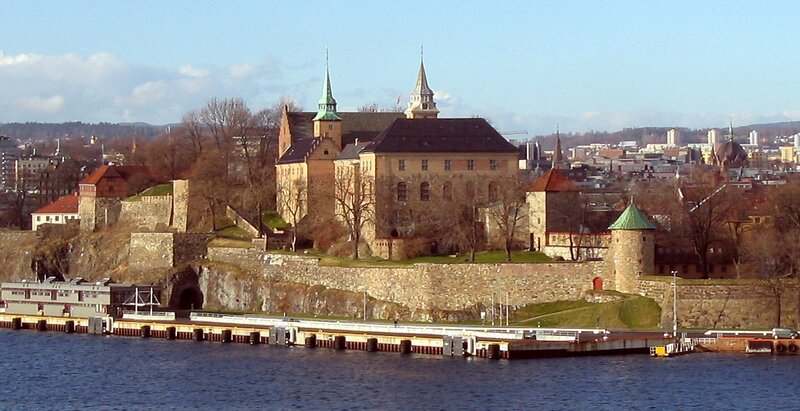 During World War 2, the fortress changed hands a few times, and many Norwegian resistance fighters were executed here. As a result, the fortress is home to Norway’s Resistance Museum. A definitive coastal landmark of the city, this historic site is a popular recreational destination for local residents, and a must-see for tourists. Architecture from the late 1500s to the early 1900s is visible in the inner and outer fortresses. The outer fortress is currently home to several government offices as well as the Norwegian Armed Forces Museum. The name “Viking” was enough to strike fear into the hearts of many peoples who lived along water courses in Northern Europe. 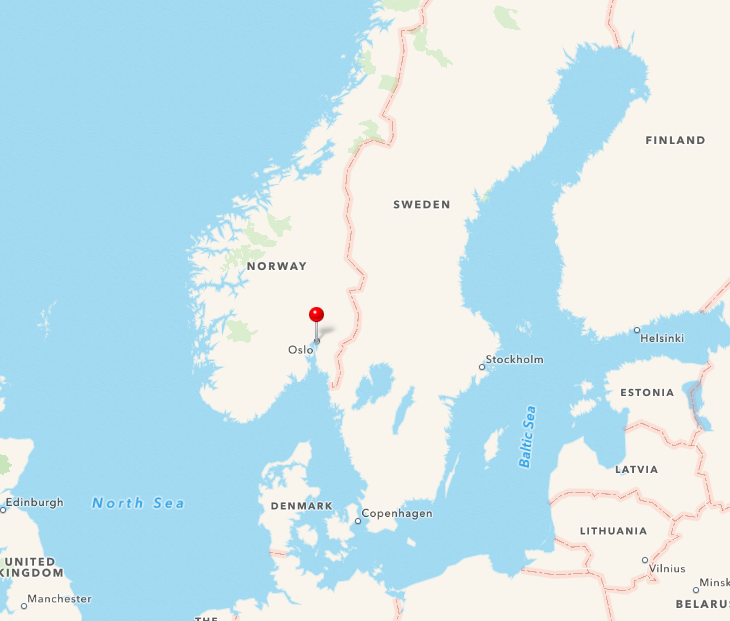 Erik the Red made his way to Greenland more than 500 years before Columbus was born, and his son Leif Eriksson traveled to his ancestral home of Norway and made his way across the Atlantic to Greenland and North America. Impressive seamen and warriors, the Vikings were a culture whose existence revolved around the water. It’s no surprise that in their ancestral home, a museum to their shipbuilding is one of the most fascinating attractions. 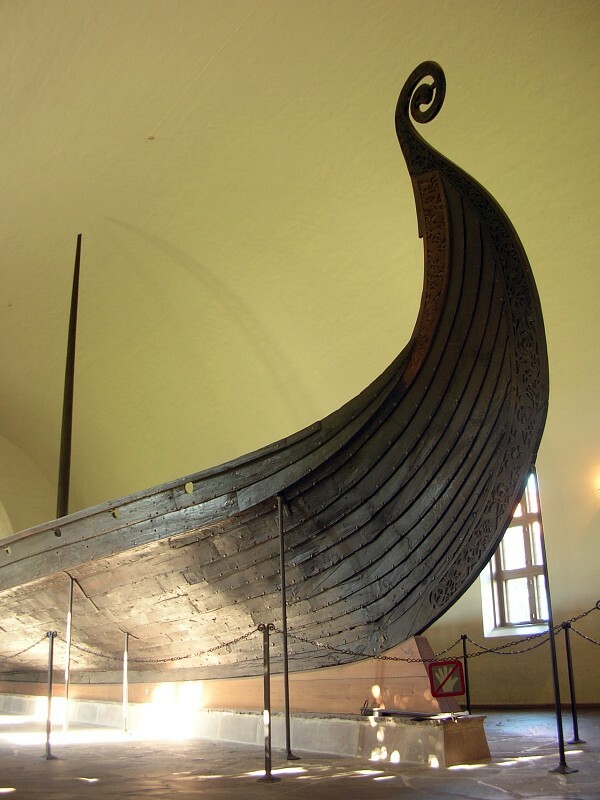 The Viking Ship Museum houses three Viking vessels – the Tune, Gokstad, and Oseburg vessels. Each served as a burial ship, laden with rich artifacts, expensive tapestries, jewelry, and even animal sacrifices. A raised burial chamber protected the body of the deceased on their voyage into the afterlife – both men and women were found in these chambers, and their possessions indicate significant wealth. Oseberg Ship, Photo via Wikimedia Commons. Delve into the mystery and enchantment that these boats symbolize. Their detailed carving rivals the best woodwork of today’s artisans. The Oseburg ship alone included five distinctive animal head posts with complex and detailed woodwork of significant beauty. You can see the boats and artifacts at the museum while learning about one of the most powerful and adventurous European cultures when you visit this museum. Viking Ship Museum, Oseberg Ship. Courtesy Grzegorz Wysocki via Wikimedia Commons. The love of exploration and adventure – especially via water- is still a part of Norwegian culture. The Fram Museum is testimony to this spirit of exploration. Home to the world’s most famous polar ship, the Fram, the museum is set on beautifully landscaped ground and offers information on many of the most famous polar expeditions. Norway’s proximity to the North Pole might deceive you into believing that the museum will focus exclusively on explorations to the North Pole. You’d be wrong. Among the exhibits here, you’ll find Antarctic explorations. Bow of the Fram. Photo by João Ferro via Wikimedia Commons. In 1947, Norwegian writer and explorer Thor Heyerdahl tested a theory and gained international recognition for it – he sailed across the Pacific, from South America to the Polynesian islands, using a homemade raft crafted with local materials and techniques, named Kon-Tiki. His aim was to prove that South Americans could have settled the Polynesian Islands, despite contrary opinions from the academic community. Thor succeeded, and the documentary film of his journey won an Academy Award, as did a 2012 dramatized version of the adventure. In 2011, a genetic link was established between the people of the Polynesian Islands and South American indigenous groups, potentially proving Thor right. Even immediately following his 1947 trip, the mere idea of it captured the public’s imagination. In 1957, a private museum was built to allow visitors to see Thor’s boats, maps, a library with a collection of over 8,000 books, and other artifacts from Heyerdahl’s research and expeditions. The museum is on the route of most any of the boat tours in town, and it’s right next to the Fram. Quote on the outside wall of the Kon-Tiki museum. Photo courtesy “Shyamal” via Wikimedia Commons. 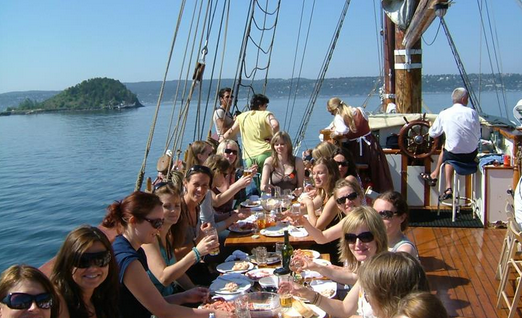 If you’re in the mood to set sail like the Vikings, check out this delightful cruise on a traditional wooden sailboat. Although you won’t be able to see the wild beauty of Norway’s fjords (that takes a train trip to Bergen – but it’s worth it! ), you’ll enjoy the sunset views over Huk Bay, and the impressive landscape of the numerous small green islands that are situated in front of Oslo. You’ll also get the chance to view Oslo’s fjords. I love good food – Norway’s prawns are no exception. Luckily, they’re served in copious quantities on board this cruise. And they’re as fresh as it gets. Served with your choice of mayonnaise or lemon and accompanied by bread and butter, these oversized shrimp offer a decadent flavor that shrimp lovers will find themselves craving weeks after their trip ends (trust me). Oslo Båtservice Sightseeing, Shrimp and Prawn Cruise along the Oslo Fjords. Photo courtesy Visit Oslo. From the Norwegian Folk Museum to the Munch Museum, the Nobel Peace Center, and beautiful Frogner Park, there is no shortage of adventure and cultural outings for visitors. Be forewarned, however – the eclectic and delightful cuisine, numerous museums, and historical sites in this city aren’t cheap. Neither are the cruises or the accommodations. 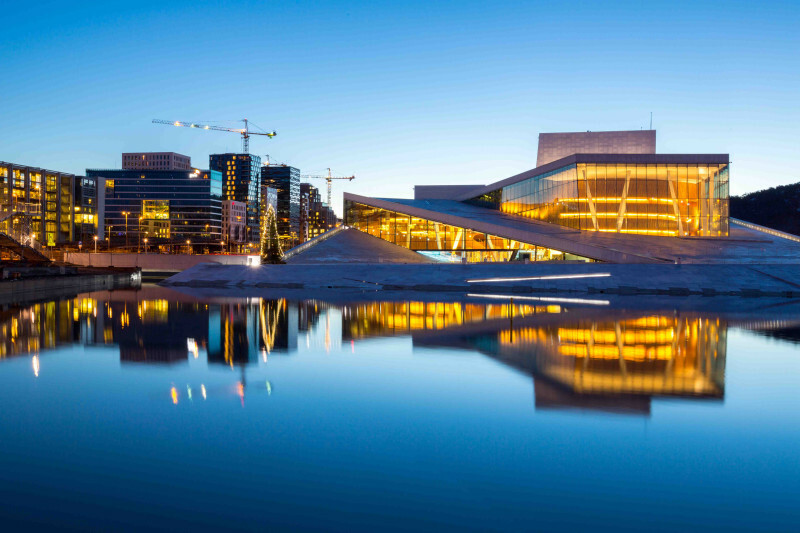 Oslo is the fourth most expensive city in the world, according to a global survey conducted by the Economist Intelligence Unit, and like all European metropolises, its beauty is often rivaled by its price tag. For more information on a trip to Oslo head to www.visitoslo.com.